Madrid: Despite the joy of helping seal Real Madrid's 33rd La Liga title on Sunday, Cristiano Ronaldo slammed his treatment by the media, saying he is not "the devil" he is made out to be. 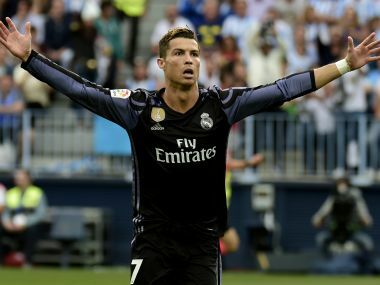 Ronaldo scored his 40th goal of the season inside two minutes as Madrid won 2-0 at Malaga to depose Barcelona as Spanish champions. However, when questioned about a gesture he made to Celta Vigo players in Madrid's 4-1 win over the Galicians on Wednesday insinuating Celta had been offered bonuses to damage Madrid's title charge, Ronaldo turned on the press pack. "People say things about me without knowing a thing and it bothers me. You (the media) say things about Cris without knowing the truth," said the World Player of the Year. "I am not a saint, but I am also not a devil like many people think I am. "I don't like this type of thing because I have a family, I have a mother, a son, and I don't like that they say stupid things about me." Ronaldo was happier when talking about his contribution on the field to Madrid's first La Liga title in five years as his early strike at La Rosaleda was his 14th goal in his last nine games. "I've prepared to be in top shape for the end of the season," he added. "I've helped the team with my goals, my decisions and for that I am happy."